This unique instructional guide provides information unseen in any other book about natural oils for health and beauty. Whether you are a natural skin care professional, a DIY fan, or new to the ways of making one’s own skincare products, Power of the Seed will guide you along the way. Beginners can start with easy-to-follow recipes, while the adept have easy access to the most detailed information currently available anywhere. 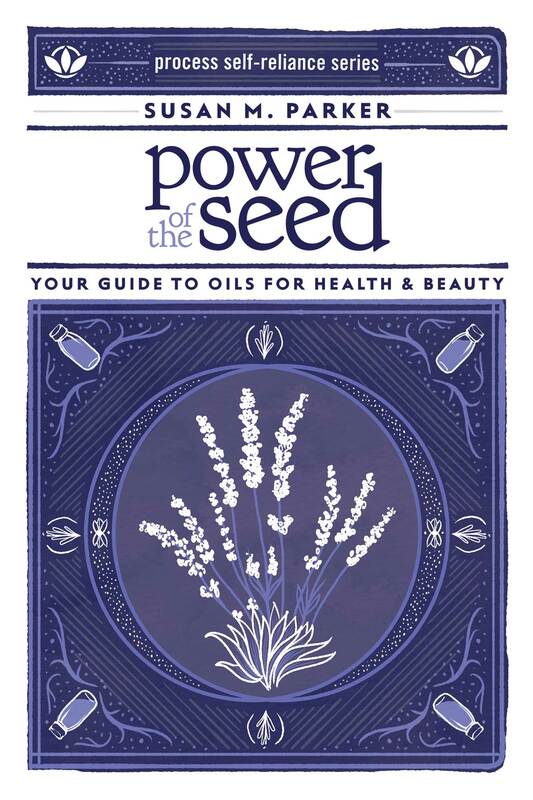 Power of the Seed gathers comprehensive information on oils in one place, making it a complete reference. Author Susan M. Parker is the owner and founder of Solum & Herbe, a skincare company that uses a wide range of natural oils to create nourishing, natural personal care products. This is the newest title from Process Media’s popular Self-Reliance Series that presents important DIY information in a visually enhanced easy-to-read and understand manner.